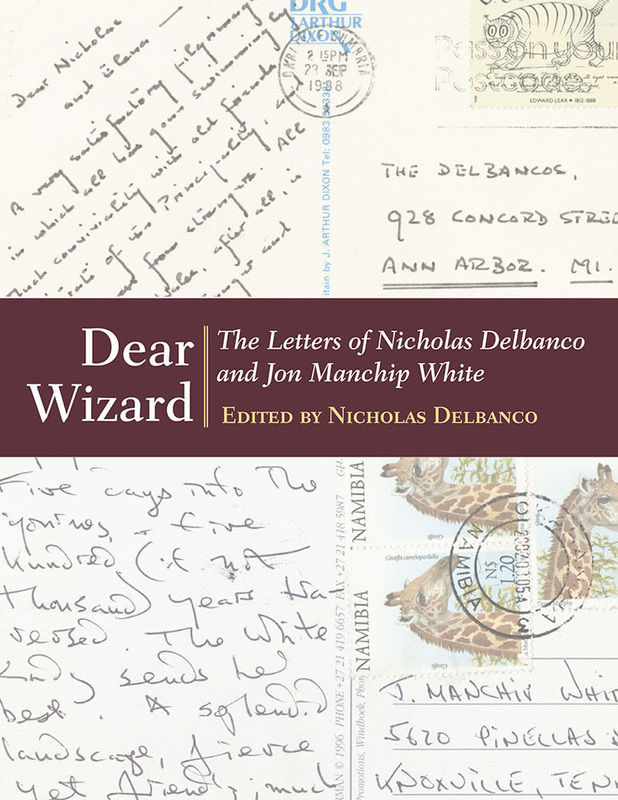 Edited by Nicholas Delbanco Dear Wizard is a carefully selected, highly crafted gathering of letters from over three decades of correspondence between authors Nicholas Delbanco and Jon Manchip White. This correspondence, in part a contest to outdo one another with exotic and outlandish letterhead, ranges in tone from carefree to grave and covers topics as diverse as the art and practice of writing, the state of the writer’s profession, and age, illness, love, and loss. Nicholas Delbanco is The Robert Frost Distinguished University Professor of English Language and Literature at the University of Michigan. He has published twenty-eight books of fiction and nonfiction. He directs the Hopwood Awards Program at the University of Michigan; he has served as Chair of the Fiction Panel for the National Book Awards, has served on the jury of the Pulitzer Prize for Fiction, and has received such awards as the J.S. Guggenheim Memorial Fellowship and, twice, a National Endowment for the Arts Writing Fellowship. Jon Manchip White (1924-2013) was a distinguished Welsh-American writer who has published over thirty books of fiction, nonfiction, and poetry over a long writing career. His works of fiction include novels, collections of short stories, and many scripts for film and television. His nonfiction books include history, biography, archaeology, anthropology, travel, and personal essays.